The few, the proud, the ones who read album reviews . . . you know my standard. Good music is a worthy companion, one you want to hang out with; with whom you are comfortable . . . but also one who will tell you the uncomfortable truth when you need to hear it. 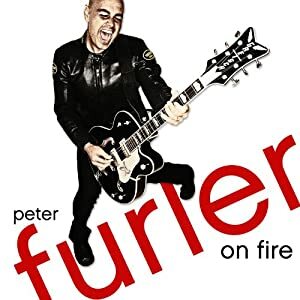 For two decades now, Peter Furler has met the mark as a musical friend. My early adult years were punctuated with the gut-punching “Hell is for Wimps.” The years passed through various phases and fashions of the band—the excitement of hearing “Take Me To Your Leader” on pop radio; the refreshingly quirky partnership of Steve Taylor and Furler coming on the scene in full force; the needed presence in the worship realm during a time when the marketplace was saturated with lyrics and melodies that seemed as if they were cranked from a clone machine. When I heard the news that the boys were losing one, I was concerned. Having to travel a little in my work, I understood the choice, but I was a little worried. Worried for the band and worried for my own loss of a musical companion. Michael Tait merged well into the band and my relief was half-way there. “I’m Alive” began an ongoing lyrical trip through comforts, encouragements and challenges. I, too, walk the mazes of doubt. It is good to hear a gracious romp from the other side of the hedge. And press on. Press on to your God-calling . . . leaving behind cultural expectations–even those of the church culture– when they in any way pull us away from God’s invitation to His adventure. “Closer” follows up with slap-upside-the-head lyrics to “make the most of every chance you get. These are desperate times. (Apostle Paul).” “Faster and Louder” hits like a cattle prod to aging Gen Xer’s losing the edge that defined them. I almost sighed in frustration upon seeing a track titled “Psalm 23.” This has been done so many times. This, however, was a worthy experience. It quickly became one of my favorite tracks. Interestingly, the final tracks loop back around to the maze of the first one. It addresses the faith issue while facing difficult realities of life in a fallen world, “Hold On” encourages us “to feel alive / take the beauty from the ashes / now it’s it is time to rise again.” The fade-out becomes a fade-in to “Greater is He” featuring Bill Furler reading from John 1; Phil Joel adds vocals to the mix. It is an anthemic crescendo of joy. A fitting wrap on an excellent album. This is good stuff. Peter is worthy of your ears. The musical friendship is worth pursuing. Go get it.